Blood sfx will really make the difference. Seeing this is making me interested in Blood again. Now these are some fantastic news M210!! So there is two of these? Or is this the same thing as this? Awesome work. I notice though when you set the enemies on fire that they change size. Should include a sizeat somewhere in there. So, two TCs recreating the same game. Seems a little redundant don't you think? Why not pool resources and work together? 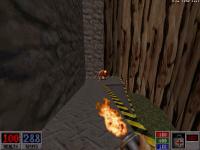 I think that BloodTC is a recreation of the original game and Crandle to Grave will have different maps. But I'm not so sure. Are the 2 teams cooperate? That would be great. I tried to write Dimebog, but he didn't answer me. May be my messages didn't reach to him? What is required to help you ? I mean to make objects, weapons, ... Why not maps ? Only technically. Cradle To Grave seems to be more of an add-on type of experience, while BloodTC is just a port of sorts. Means that they are both the same thing - add-ons for eduke32, shall not be necessarily united. BTW, Blood looks and plays fantastic on gzdoom already. 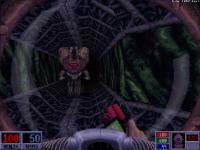 I got a WAD for Doom 2 that recreate Blood 2, for exemple. I have played that one, too. It wasn't bad, but its main problem was that it was just a collection of most popular/known Blood maps without the whole story thing wrapped around it (no cutscenes). There were gaping holes between some maps, and it was far from reproducing the whole game. Dunno how hard it is to recreate the levels (or are they just converted? ), but I'd really appreciate if the final product contained at least 2 full episodes. Hi guys! At last time I'm working on weapons of Blood and through half month I want to release my little addon for eDuke32 which change all original weapons to blood weapons. I call my addon BLWEAP and I make it for test weapons which will be includes into BloodTC. Now I make all weapons with general and alternative shots but voodoo doll isn't done yet. May be tomorrow I done it. Just checked it and was very nice ! * The speed of the life-draining is a bit low. * The special fire is TOO WEAK ! A full shot have to instant kill a Pigcop, in my opinion. * This weapon seems too weak. As above, a direct hit must jib a Pigcop for sure. Also, to save your time; Gaygoyle in Blood dies with 4 shots from sawed-off's alt-fire in Well Done (4rd skill) with 696 hp. You want more power try using mighty foot. Nice Work! M210. Looking forward, for this TC. It is available, but not visible, because I don't know how to calculation coordinates of flarefire after hit of enemy, but...if you shot to enemy, for example, five times, it will die at 5 times faster. You mean when it lies on a floor? I'll fix it, but now I don't know how to make it true. I have liked these a lot, working very smoothly, just like in Blood. However, there are little flaws that I'd like to point out. * Napalm should be A LOT STRONGER, or if you already have added resistances for enemies, make octabrains a lot less resistant to fire, afterall they live in watery areas. * Could Napalm launcher look a little higher on HUD ? It looks too low to me. - Life Leech sends A LOT OF con errors to the console, mainly invalid sprite id errors, when you attack at walls. A HUGE NOT THOUGH, Life leech DOES NOT hurt you with radius of it!! It doesn't have a high radius at all !! I'm sure you are working on the things people noted above, can't wait to see this TC done. More about the tesla stun state. I think that it occasionally happened when you used primary fire mode and always when using alt-fire (unless a monster died). In your version it works in primary fire mode and doesn't work when using alt-fire. Not to maention that both modes especially alt-fire is much much too weak.